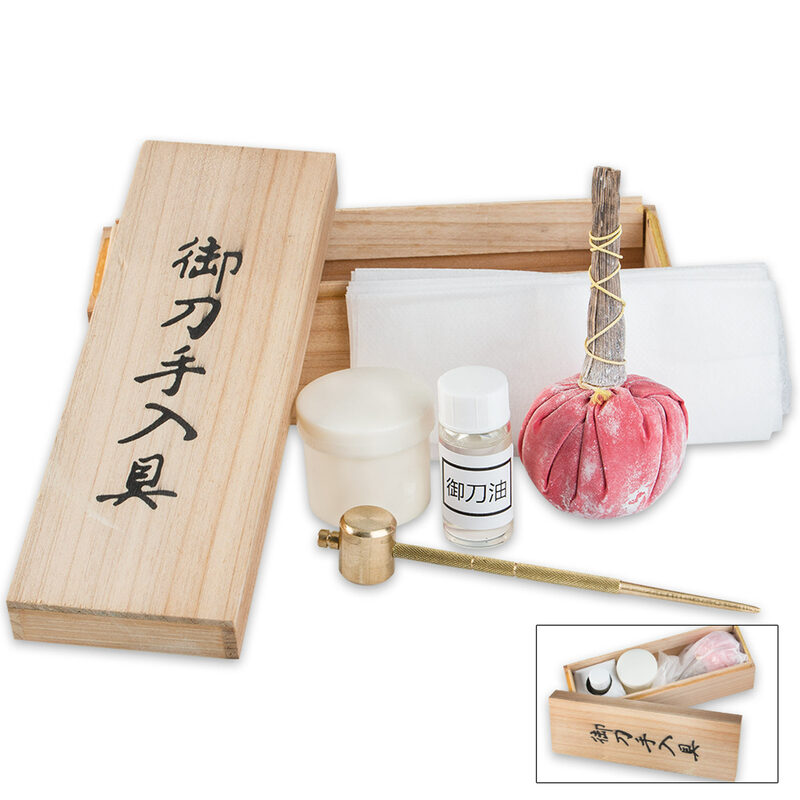 This Deluxe Sword Cleaning Kit is a must-have if you have invested in a sword. It will give you everything you need to take care of your beautiful sword. 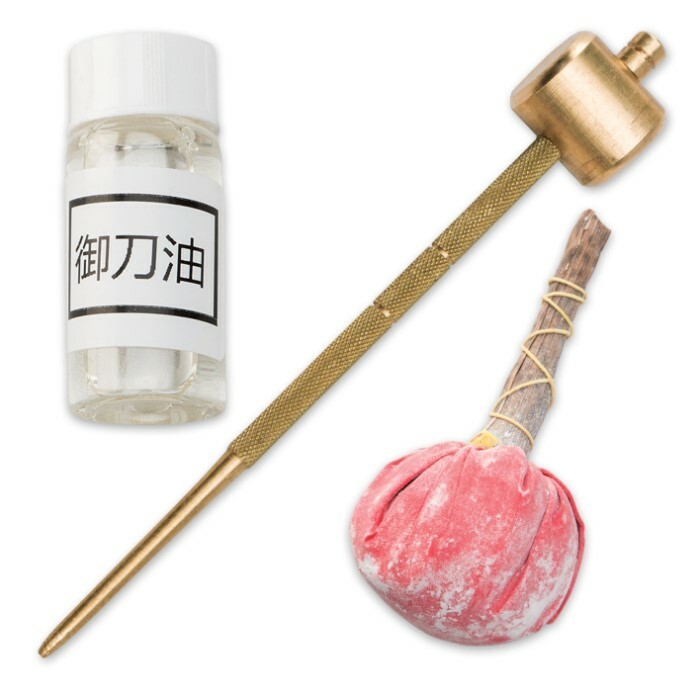 It includes a brass awl and hammer for easy dismantling, sho-ji oil and a wiper to prevent rusting and a uchiko containing non-abrasive powder to absorb excess oil on the blade. All of this is stored in a wooden box. Great kit in a cool looking box. Nothing fancy or expensive, but a real good value at the price sold here. This is a fine kit for the price. The mystery empty plastic cylinder is puzzling. 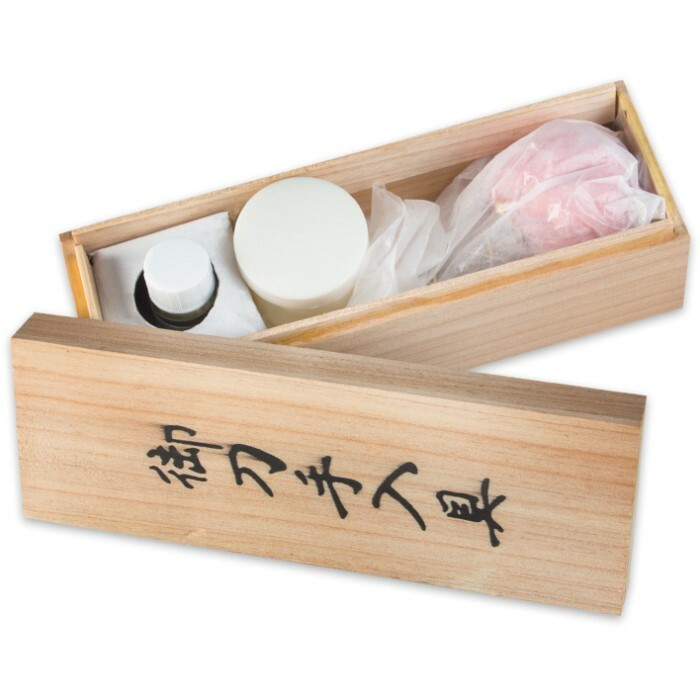 Maybe this was supposed to contain some mekugi. Nice little kit. Comes with everything you need. I recommend getting a new container for the odaji oil as the lid doesn't tighten. Other than that (and missing instructions) is good for the price.